[Evening in Belmar at the Hyatt House. Photo: prescientco.com] Blessed with the wealth of the great Colorado outdoors in its backyard, Lakewood is one of the most visited cities in the state. It lies between Denver and the Rocky Mountains, making it a prime basecamp for city and country exploration. Therefore many of the top hotel chains in the country have a location in this Jeffco town. The fifth largest city in Colorado, Lakewood boasts year-long activities for everyone. Though its natural attractions make Lakewood a popular vacation choice, there are more reasons to go to this city. Lakewood has a bustling arts and culture scene. In the newly-redeveloped central area known as Belmar, lies art galleries, boutiques, theaters and resto-bars that feature live performances every week. Lakewood is a rich community with a lot of recreational spots for any traveler, and hotels to accommodate. During the day, you can visit the locals’ favorite Bear Creek Lake Park, where you can go biking, hiking, or even archery. Horseback-riding enthusiasts can explore their equestrian trails. There’s also the parks’ Soda Lake where you can enjoy an afternoon of boating and fishing. Another terrific pick for recreation in town is Green Mountain. It’s hardly missed as its the biggest grass topped hill in Lakewood rising high over the Front Range. The 360° views from the summit make it a must hike or bike for outdoor enthusiasts. Morrison and Golden both straddle Lakewood, offering additional entertainment and even prehistoric attractions at Dinosaur Ridge. It’s also very easy to get around, so choosing a top hotel in the city should be fine no matter where you go. Most of the city lies on the bus line, and a small portion on the light rail commuter train. 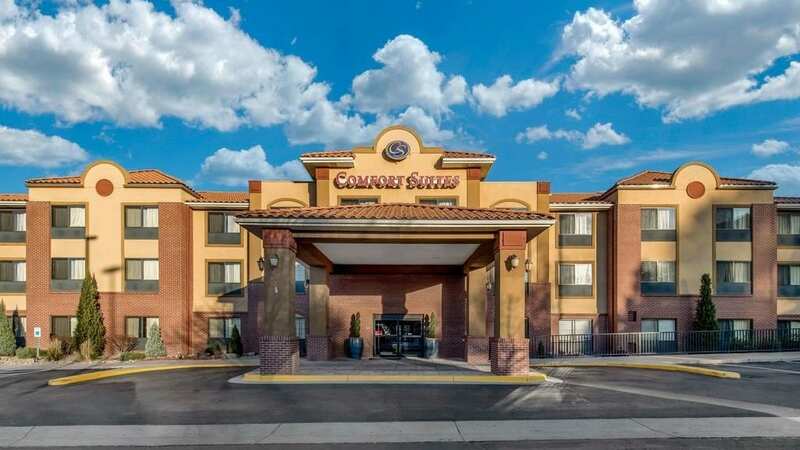 Comfort Suites Lakewood – Denver, Lakewood, CO. If you will explore the city all day long and just need a reliable accommodation that can supplement your tour/vacation, staying here is an appropriate choice. 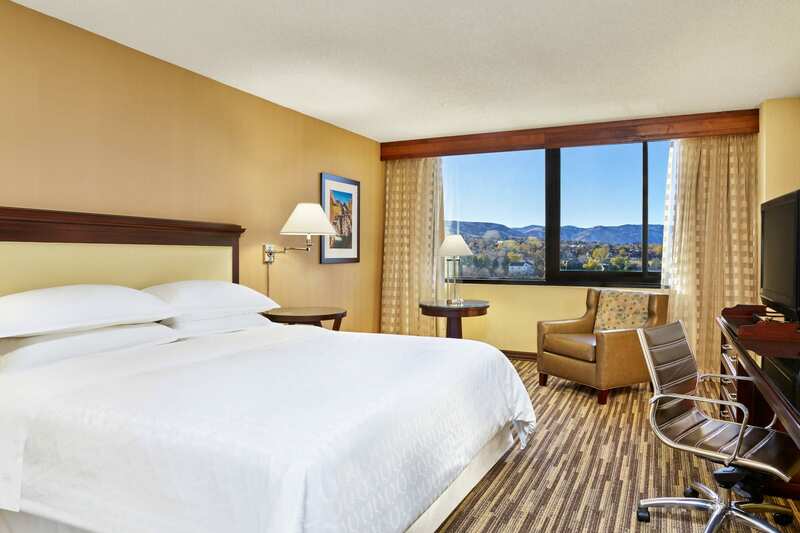 The Comfort Suites Lakewood-Denver is located just minutes away from the Colorado Convention Center, Red Rocks Amphitheater, and Pepsi Central Arena. The place is built for easy, and smooth-sailing accommodation process. There’s a 24/7 help desk so you can check in at late hours and arrange your stay. They have a pool, free parking, Wifi, hot continental breakfast, a business center, and gym. The rooms are pretty straightforward, but there are also ones with in-room bathtubs for that little bit of R and R at the end of the day! 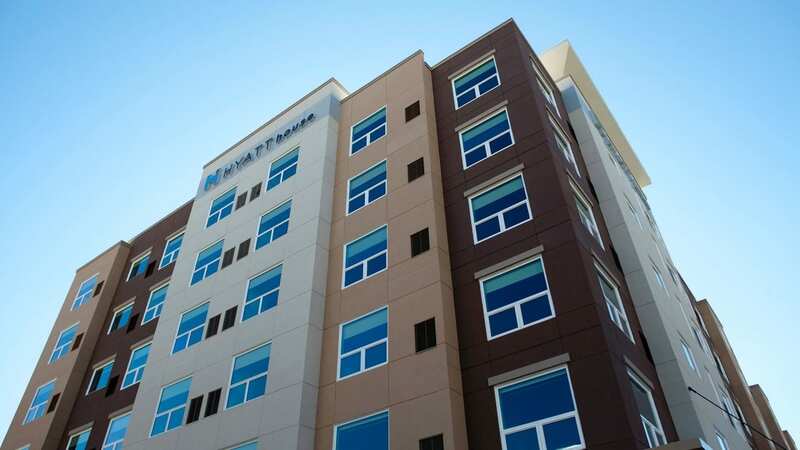 Home2 Suites by Hilton Denver West-Federal Center, Lakewood, CO. Whether you’re in the city for the shows, or the parks, or business, Home2Suites is suitable for any type of trip. Receiving the Certificate of Excellence Award from TripAdvisor, Home2Suites has continued to be a top choice for those who are looking to find a home while away. 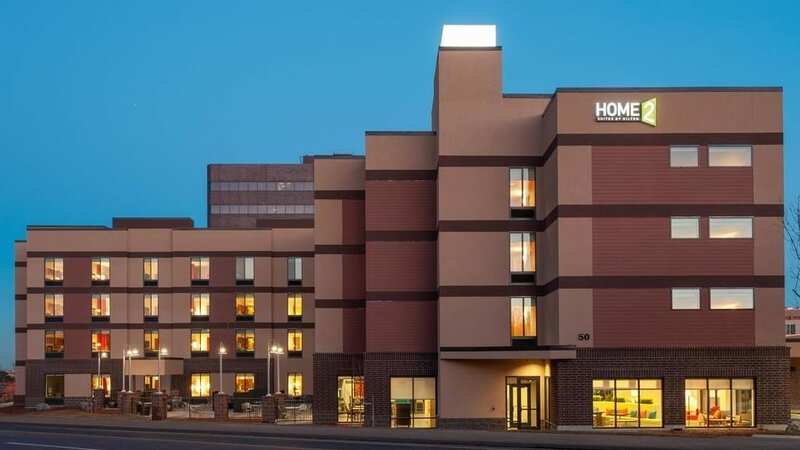 Home2 Suites’ specialty is their fully-equipped hotel, which is also suitable for longer terms. There are suites that have a full kitchen, bathroom and king bedroom. If you’re on a budget, you can choose a standard room and still take advantage of the main amenities in the hotel like baggage storage, laundry/valet service and snack shop. They also have a business center, walking track, fitness room, and swimming pool. For families, they have children-related activities, cribs, high chairs, and a playground. Home2 Suites is a good choice if you want an all-around dependable accommodation. Sheraton Denver West Hotel, Lakewood, CO.
Sheraton Denver West Hotel is part of the Marriott hotel franchise. Still, they accommodate a price range that’s competitive in the area. Their 100% smoke-free suites feature signature bath amenities and the certified “Sheraton Signature Sleep Experience.” Rooms and suites have a contemporary design that highlights the intersection of comfort and function. The hotel is also known for being a venue for big events, conferences, and weddings. To ease your stay, they offer a buffet and a full American breakfast. Don’t forget to taste the French toast! During happy hour, you can sip on the cocktails at the Club Lounge. There are amazing views from each suite, but if you really want to get the best views, request for the ones that are on the 11th floor up. Best Western Denver Southwest, Lakewood, CO.
Best Western Denver SW had a $5 million renovation done on the property, so it’s modern comfort. They are proud to upgrade their amenities to fit the needs of their guests. This particular hotel is known for its proximity to the geological and paleontological goldmine that intersects the Great Plains and the Rocky Mountains. Because of this, the hotel itself features valuable artifacts. The renovation reflects the history of the city, too. You can explore the 19th-century fossil expedition theme throughout the hotel. They even have a dinosaur vibe going! The hotel has standard in-room amenities like WiFi and toiletries, but what makes this special are their additional features. They have a 24/7 gym, deluxe breakfast, pool, hot tub, and an open-air patio. 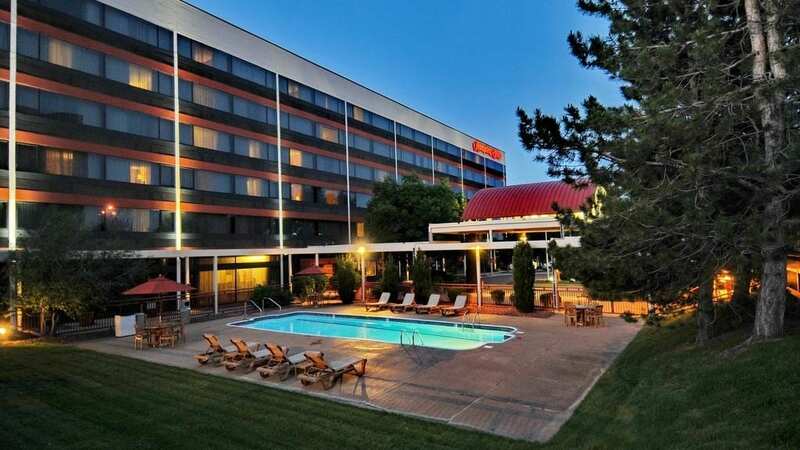 Aside from a stress-free stay, Best Western Denver SW offers an immersive, historical feel to your stay. Hampton Inn Denver West Federal Center, Lakewood, CO. Though many go to Lakewood for its amazing nature parks, hiking trails, and other outdoor activities, there are those who travel for business. For that, Hampton Inn Denver West Federal Center has been a preferred choice. 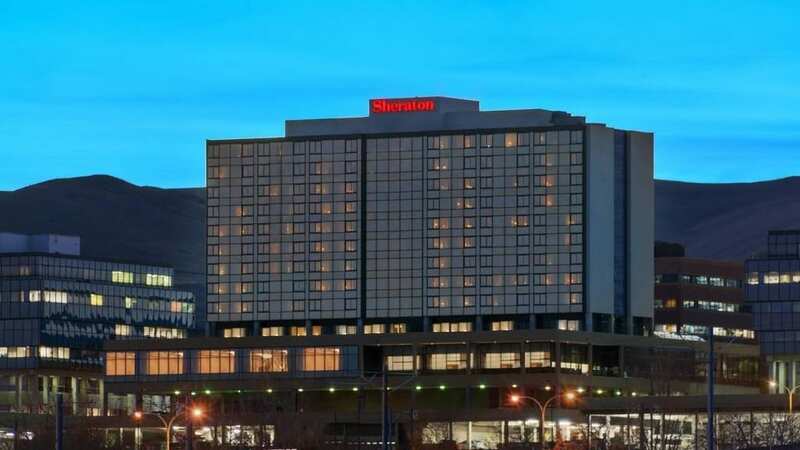 Rated as one of the top hotels in the city, Hampton Inn offers a slick, straightforward accommodation that fits a business-related lifestyle. Its location is also attractive for those who have meetings near the federal government offices. Hampton Inn’s concierge service is also reliable when it comes to business travelers. They have a free shuttle service that you can request ahead of time. 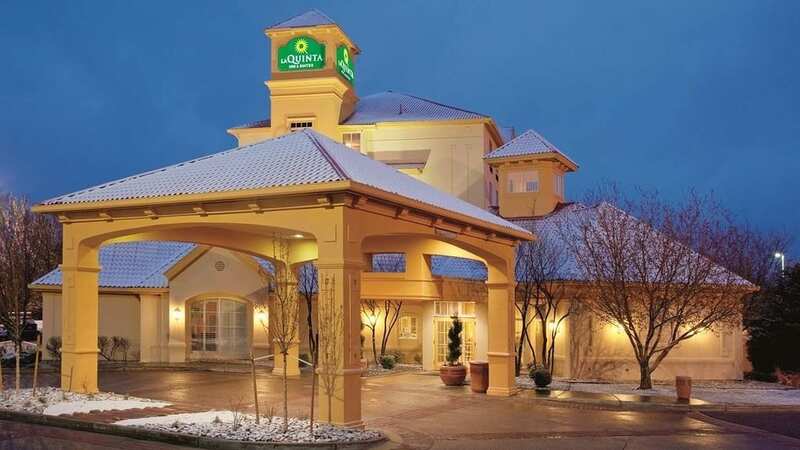 Hampton Inn rooms are relatively normal, though it’s the overall professionalism of the staff and accuracy on addressing business travelers’ needs that make this a top choice. 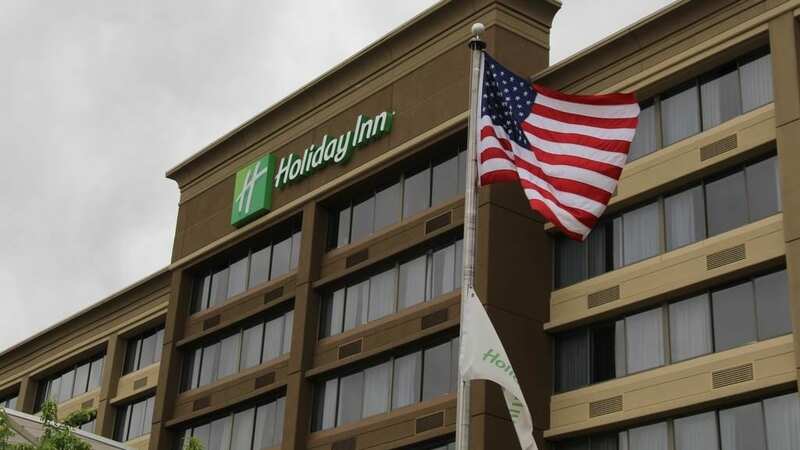 Holiday Inn Denver Lakewood, Lakewood, CO. The hotel has 190 spacious rooms, which have high-end beddings, Keurig coffee makers, WiFi, and ergonomic workspaces. All of the rooms and suites feature king-sized beds except for the Double Queen Non-Smoking room and the ADA rooms and suites. Unlike other hotels, Holiday Inn has in-house dining, the Innsider Bar & Grill. They server breakfast starting at 6 a.m. and an all-day menu until 10 p.m. The bar is open until 11 p.m. Holiday Inn ticks all the important boxes: cleanliness, affordability, amenities, and outstanding service! 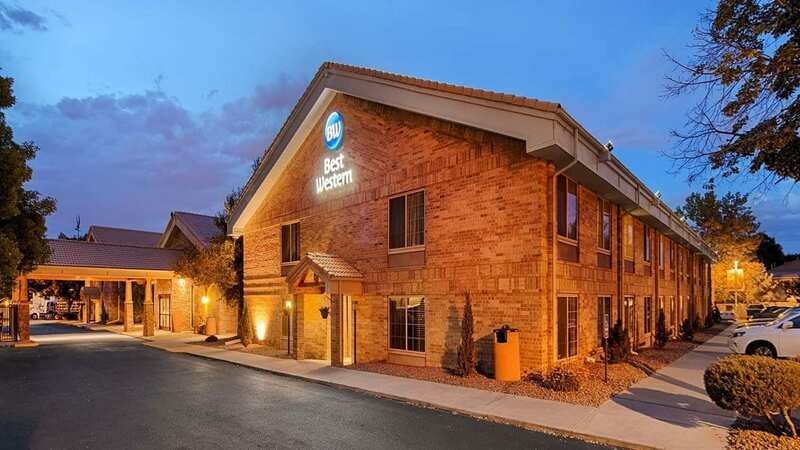 La Quinta Inn & Suites Denver Southwest Lakewood, Lakewood, CO. Though most accommodations are fit for any type of traveler, there are those that are more inclined to attract certain groups of people. In this case, for families and travelers who with children, La Quinta is a solid choice. The rooms and suites are relatively larger and they feature a more complete set of amenities. Aside from the king-sized or queen-sized beds, rooms usually have a separate sleeper sofa (which works perfect for bigger groups). There is a separate work desk, microwave, and fridge. La Quinta also has a large courtyard which gives a good breathing space that family members can use for children’s play, casual relaxation time, or sight-seeing. 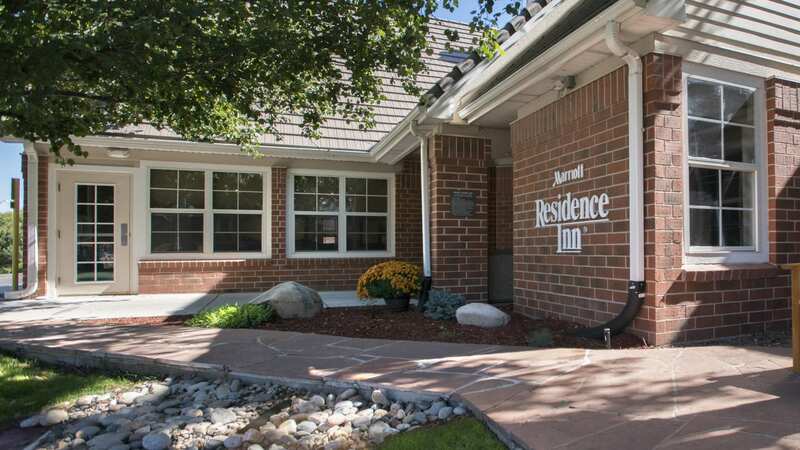 Residence Inn by Marriott Denver Southwest/Lakewood, Lakewood, CO.
Residence Inn is a Marriott brand, so with that comes the perks of the franchise’s standard. Though it’s not ultra lux, you can expect a high quality of customer service. The front desk and the lobby may look dated, but the rooms and other amenities are refreshing. This can be one of the more spacious rooms and suites in Lakewood. The exterior is designed to have walk paths and sitting areas that are reflective of the nature around the city. If you feel stuffed inside the hotel room, you can just walk out in any of the outdoor areas, including the patio (where they have fireplaces lit up at night) and relax. They also have the exciting The Residence Inn Mix™, a 3x a week event where guests get to socialize in their various events hosted in the lobby or the outdoor space. Courtyard by Marriott Denver Southwest/Lakewood, Lakewood, CO. The Courtyard is one of the more newly designed hotels in the area. The interiors feature lively colors that reflect the modern lifestyle in the city. There is an outdoor patio for relaxation and socialization, though it definitely evokes the feel of the Mile High City. The rooms are smaller compared to the more spacious selections noted above, however you can book a suite if you need more space for your stay. Dining is the highlight of this hotel. They have The Bistro, Bistro Signature Starbucks, and famous healthy items on the menu. Past visitors recommend tasking their Green Goddess Chicken BLT and Green Goddess Chicken BLT. 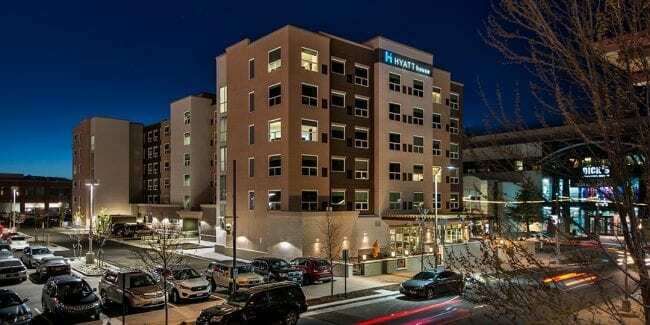 Hyatt House Denver/Lakewood Belmar, Lakewood, CO.
Hyatt House has a suburban condominium interior design with wood hues and white highlights. It also features a play on different textures to balance the town’s modernity and country lifestyle. You may notice the play of neutral colors mixed with granite or any light-to-white scheme. This may seem trivial, but maintaining that bold white that pops in spaces is also a sign of confidence – of their service, cleanliness, and professionalism. They have standard business rooms and suites that feature a full kitchen. Whatever features or amenities you may need during your stay, this top-rated hotel will probably deliver. 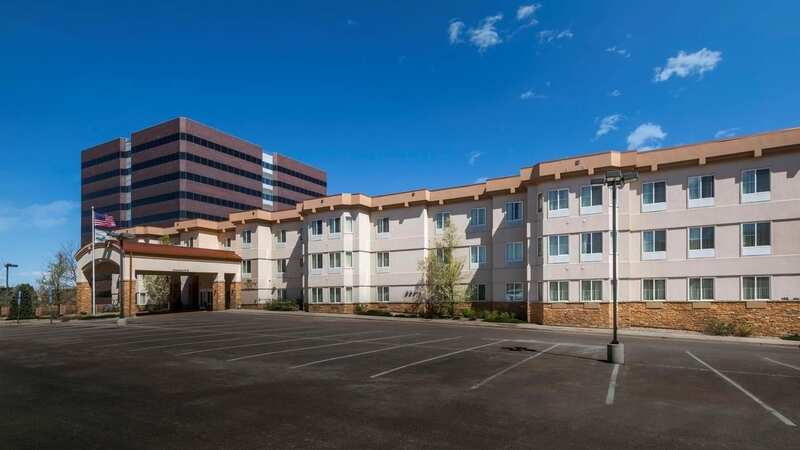 Homewood Suites by Hilton Denver West – Lakewood, Lakewood, CO. The last but not the least is Homewood Suites. 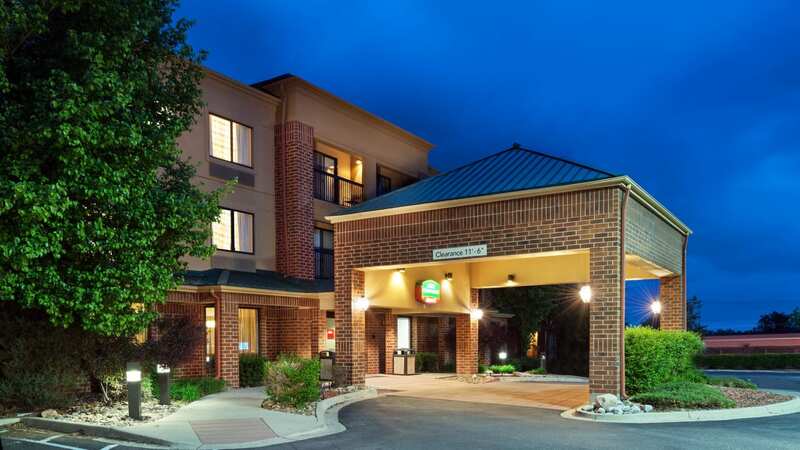 We have featured business class, family-friendly, modern pop, and high class in the aforementioned hotels, but Homewood Suites has a more humble vibe. Their down-to-earth play on light colors and bright designs can make anyone feel at home. That’s why it still often ranks as one of the top 3 hotels in Lakewood. They have spacious suites with multiple lobbies, balconies, and open areas where guests can sit back relax, or even hold meetings. It has the perfect balance of approachability and style that certainly makes it flexible for business and family travelers. If you’re booking here, don’t miss out on the pool and the hot tub! Make the most of your stay to Jefferson County’s largest city by choosing one of Lakewood’s top hotels!